It is "increasingly likely" that the United Kingdom will leave the EU with no deal, the European Commission said in a press release on Monday. The EU Commission published its latest preparation measures and "urges all EU citizens and businesses" to "complete their Brexit preparedness" for a possible no-deal scenario. At the European Council last week, British Prime Minister Theresa May was given an extension to the Brexit deadline by fellow European leaders. If MPs approve the negotiated exit deal at the third attempt this week, the date will be pushed back to May 22 to allow for the necessary legislation to pass. Otherwise, the European Council — the leaders of EU member states — expects the UK “to indicate a way forward” before April 12. 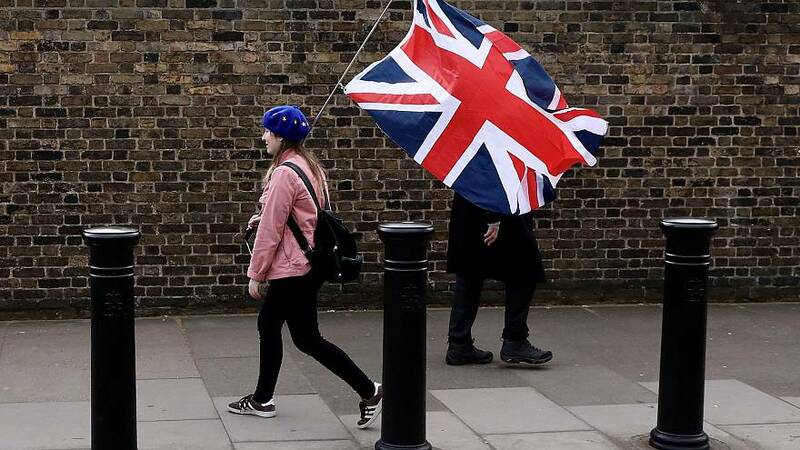 "While the European Union continues to hope that it will not be the case, this (the extension) means that if the Withdrawal Agreement is not ratified by Friday 29 March, a 'no-deal' scenario may occur on 12 April", the EU Commission said. "The EU has prepared for this scenario and has remained united throughout its preparations. It is now important that everyone is ready for and aware of the practical consequences a 'no-deal' scenario brings." Indeed, in a no deal scenario, the UK would overnight "become a third country without any transitionary arrangements" and its trade relations with the EU would be ruled by international trade law such as World Trade Organisation tariffs. The EU Commission estimates that this would "cause significant disruption for citizens and businesses". Because British citizens would lose their EU citizenship, they will be "subject to additional checks when crossing borders into the European Union", the EU Commission has confirmed. British citizens travelling to the EU after a no deal Brexit would be asked by border guards to "provide information, for instance on the duration and purpose of your stay as well as on your means of subsistence during your stay", the EU Commission's Brexit preparedness note says. The EU confirmed that in a no deal Brexit scenario, it could "honour its commitments" on the EU budget and could "continue making payments in 2019 to UK beneficiaries for contracts signed and decisions made before March 30, 2019, on condition that the UK honours its obligations under the 2019 budget and that it accepts the necessary audit checks and controls." The commission has published several factsheets and Q&As on topics that will be impacted by a no deal Brexit, ranging from travelling, citizens rights and consumer rights to climate, finance, energy and many more. It confirmed the continuation of the PEACE programme on the island of Ireland until the end of 2020 and said it is already working on strengthening "cross-border support for peace and reconciliation in the border counties of Ireland and Northern Ireland" beyond 2020. The commission has also planned temporary measures to limit the impact of a no deal scenario on financial services, as well as measures to ensure basic air, road and rail connectivity between the UK and the EU. It has confirmed that Erasmus + participants who are studying at the time of the UK's departure will be able to complete their studies and has ensured that social security entitlements and visa reciprocity for EU-UK citizens will be safeguarded, provided the UK takes similar measures.